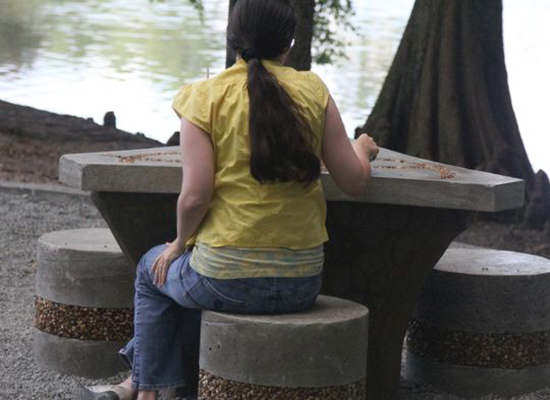 For the many who walk Lake Ella for some fresh air, exercise, or in recent days looking for Pokémon to catch, a nice shady spot can be as good as gold when you’ve made two or three laps. 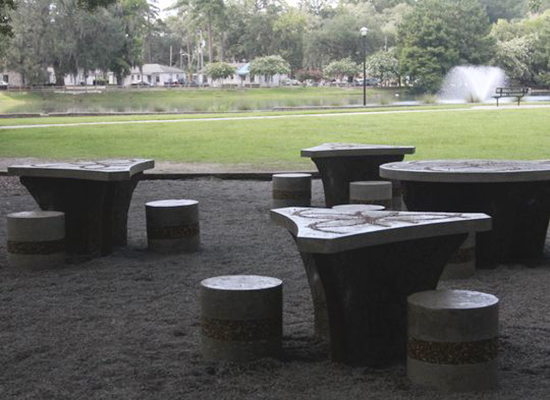 That’s why the city of Tallahassee commissioned Florida State University student Zak Weinberg to create a beautiful and functional set of tables near the area leading to the lake’s gazebo. The piece itself is titled “Source of Life,” and was designed and modeled after the iconic Seed of Life symbol. 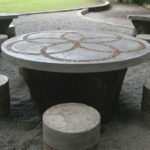 The Seed of Life incorporates six circles, interlocking in a circular pattern almost resembling Venn diagrams, with one circle anchoring in the middle. 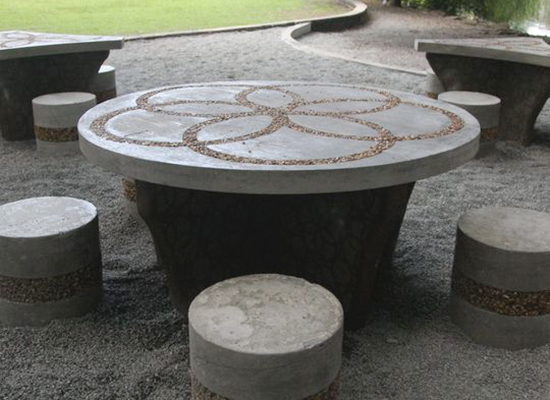 Weinberg’s work, however, features ﬁve-pointed tables surrounding a much larger, circular table, almost an inverted Seed of Life design. The ﬁve points, according to Weinberg, are representative of the ﬁve points of the star used in the city of Tallahassee’s logo. The program opening could not have come at a better time for Weinberg, who had been thinking about transferring to Florida A& M for its architectural program. He decided to stay a Seminole. “When that came out, I thought, ‘Oh that’s perfect because it’s based on public art and architectural art,” Weinberg said. His personal work is mostly done using a laser cutter on repurposed wood, but Weinberg plans to begin seeking more opportunities to make and place public art. 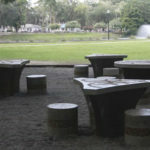 Weinberg uses natural materials in his works, which also give a nod to Tallahasseeans’ love of their natural surroundings. “I like to design work that’s sustainable, that’s going to last, but also using natural materials,” Weinberg said. 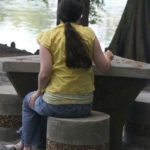 He used concrete, cement and pea gravel to fabricate the tables and seats. 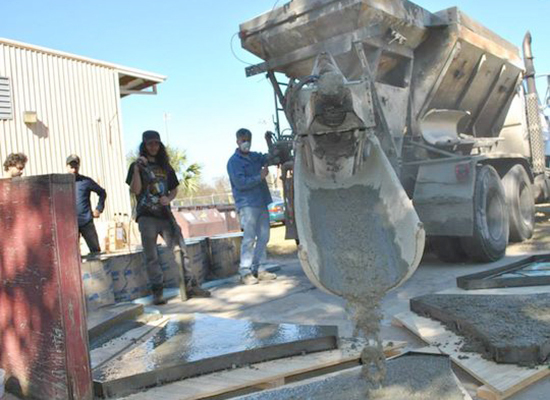 Weinberg graduates this weekend from Florida State, and he was busy this past week installing the exhibit for his thesis show at Florida State’s Museum of Fine Arts. Those interested in seeing Weinberg and other student artists’ works can see them at the exhibit’s opening at MoFA tonight from 6 to 8 p.m., or any time during museum hours through August. 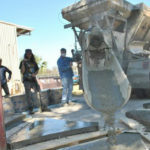 Article and images courtesy of Ryan Dailey and the Tallahassee Democrat.